The Central Bank of Nigeria, CBN has ordered bureaux de change (BDCs) to close all branches within 90 days, saying branch operations is no longer allowed in the subsector. This directive was contained in the revised guidelines for BDCs released on Friday by the apex bank. According to the guidelines, issued via a circular titled: ‘Revised Operational Guidelines for Bureaux De Change in Nigeria’, “Bureau De Change is Licenced as a unit institution. 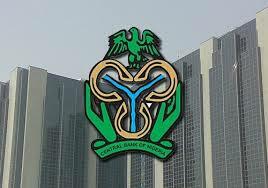 The CBN also banned BDCs from business relationship with street traders in foreign currencuies. It stated: “Similarly, it shall be a ground for the revocation of Licence should any street trader in foreign currencies be found to have any business relationship with a Licenced BDC. Any person/individual wishing to sell foreign currency above $10,000 or its equivalent to a BDC shall be required to disclose the source; Transactions shall be on spot basis (immediate settlement), adding “For the avoidance of doubt, forward transactions by BDCs are not allowed; The maximum amount per transaction for a BDC shall be determined from time to time by the CBN with respect to business and personal travel allowances. The guidelines further stated: “Every BDC shall transact business at its registered office approved by the CBN as any BDC that operates outside its registered office shall be sanctioned. Similarly, it shall be a ground for the revocation of Licence should any street trader in foreign currencies be found to have any business relationship with a Licenced BDC. Every BDC shall fix its hours of business which shall be clearly displayed in its office.